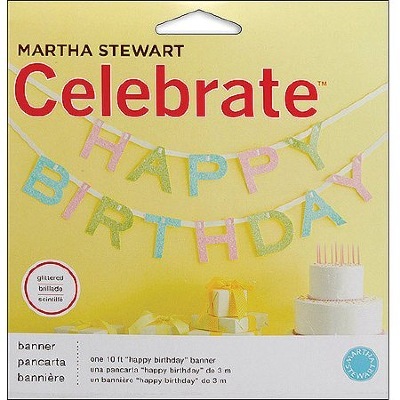 Festive and fun for celebrating a special day, this Martha Stewart Banner Displays "Happy Birthday" in multi-color letters. You can string the Happy Birthday Banner across windows, walls, mantles or tape it between two anchors to hang along the ceiling. These celebration banners are pre-assembled and are 10 feet in length. The letters in the Martha Stewart Banner are made of glittered chipboard and are hung on white grosgrain ribbon. You can use this Martha Stewart Banner to celebrate the birthdays of children or other relatives at home or in reserved party spaces. 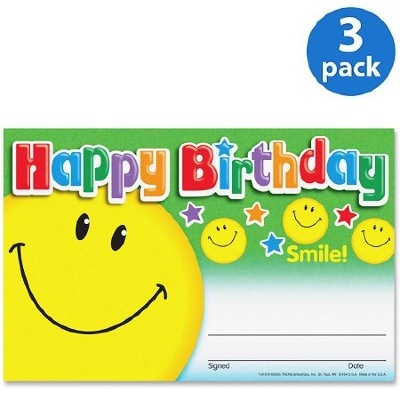 Parties for co-workers at the office can also be made more festive with this Happy Birthday Party Banner.